A display at a blockchain center that boosts startups on Feb. 7, 2018, in Vilnius, Lithuania. Blockchain is making its way in to the day-to-day legal practice of major law firms, such as K&L Gates. It’s not just a technology that law firms are learning about for client matters. Blockchain could become a core way of how the modern legal practice operates. “You don’t need to be doing initial coin offerings or issuing tokens to benefit from the blockchain,” Judith Rinearson, a partner in K&L Gates’ New York and London offices, told Bloomberg Law. Rinearson is leading an initiative at her firm that aims to eventually build an internal blockchain, which could be used in time-keeping, filing deeds, and handling merger and acquisition transactions, she said. Blockchain—known as the technology underpinning bitcoin—allows for records of transactions to be kept on a digital ledger and shared by everyone in the network. There are multiple blockchains, and the Ethereum blockchain introduced a feature called “smart contract” that allows coded programs to act upon predefined triggers. Blockchain technology is now being used to build tools and infrastructure that help lawyers draft contracts, record commercial transactions, and verify legal documents. Two examples of such tools and infrastructure are OpenLaw and Integra Ledger. OpenLaw allows lawyers to automatically generate legal agreements and embed smart contracts that can be executed on the blockchain. Integra Ledger provides a permissioned blockchain to increase the integrity of legal documents. 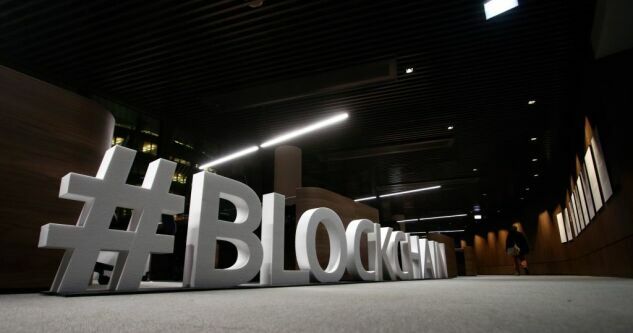 Blockchain could help reduce the time lawyers spend on routine tasks and that frees them up to spend more time on legal insights, sources told Bloomberg Law. Lawyers’ interest in blockchain grew dramatically in 2017. In fact, the legal industry was one of the fastest-growing industries joining the Wall Street Blockchain Alliance last year, founder and chairman Ron Quaranta told Bloomberg Law. And a quarter of the 100 largest global law firms joined Enterprise Ethereum Alliance, Aaron Wright, chair of legal working group of EEA, told Bloomberg Law. Both groups are nonprofit organizations that gather enterprises interested in exploring blockchain technology. “We can use blockchain as a ‘spine’ to manage the entire legal industry, build more efficient systems, decrease the cost of legal services, and make sure people get the legal services they need,” Wright said. Wright is a professor at Cardozo School of Law and leading the development of OpenLaw in partnership with ConsenSys. OpenLaw provides templates for lawyers to generate legal documents. In the contracting realm, it is incorporating a function that would allow two parties to a contract to negotiate by marking up previous drafts. Once the contract is finalized, it gathers signatures from both parties and stores the signatures on the blockchain. Lawyers can also embed self-executing smart contracts in those agreements, which can be used to transfer value, or pay employees in real time, Wright said. Although there are individual services focused on each step in the process, blockchain is the only thing that can connect all these pieces together, Wright said. The product is in private testing phase and will be offered to the public for free. An implication of a tool like OpenLaw is that “a lot of the scut work lawyers do on a day-to-day basis will presumably go down over time,” Wright said. Joe Dewey, who is developing a similar platform called ContractCode, agrees. Dewey is partner and leader of real estate practice group of Holland & Knight. An impact of smart contract is that clients will push the legal industry toward more standardization, which will in turn create more efficiency, Dewey said. With an immutable record of finalized contracts and time-stamped signatures, there will be less room for disputes, Wright said. Blockchain-based records are admissible as evidence to court in Vermont. Arizona also enacted a law in 2017 that acknowledged the legality of signatures and contracts secured on blockchain. “Blockchain provides a form of proving that different kinds of transactions have happened in a way that people can trust, and not contingent on a particular vendor system,” said Robert Ambrogi, an independent practitioner and writer on legal technology, told Bloomberg Law. With blockchain, “if we sign a contract, now and forever, we will be able to confirm that,” David Fisher, co-founder of Integra Ledger, told Bloomberg Law. Integra Ledger also partnered with businesses and built proof of concepts around monitoring process servers (those who notify the defendants of the lawsuits), registering documents uploaded to a cloud platform, and tracking continuing legal education credit. Blockchain will implicate some routine and basic contract work, Rinearson said. Lawyers will focus more on complex agreements, and the smart contract triggers embedded in those agreements. Their ability to carefully set forth the rules behind the smart contract coding, and get the agreement to reflect those rules, could become even more relevant, she said. Law firms’ data analytics capacity could be enhanced by feeding data on blockchain into machine learning algorithms, Dewey said. Some are asking: Will lawyers need to be coders? Nearly everyone interviewed said no. Instead of being proficient coders themselves, lawyers will work with engineers, Dewey said. But “knowing what the process involves and the right questions to ask would be an important skill set,” he said. The marriage between blockchain and lawyers may look exciting, but everything is in its early stages. “Lawyers are wonderful as a profession, but we’re a bit risk-adverse when it comes to new technology,” Wright said. Resistance may also come from lawyers charging by the hour and those relying on a large volume of standard agreements, he said. Not having a common standard of what blockchain to use among legal industry might pose interoperability issues in the future, Dewey said. But eventually, every lawyer will be implicated by blockchain, Dewey said. “If clients adopt it and we have to interact with them on it, we will have little choice but to be on board ourselves,” he said. “Blockchain is going to have an impact on how we do business and how we live on a scale similar to the Internet,” Rinearson said. “Clients want lawyers who understand it, and who can help them adapt,” she said.